Bring me no more reports. Let them fly all. What’s the name of this forest behind us? Tell every soldier to break off a branch and hold it in front of him. That way we can conceal how many of us there are, and Macbeth’s spies will give him inaccurate reports. 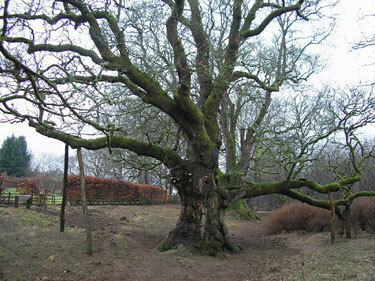 The Birnam Oak and its neighbour the Birnam Sycamore are thought to the sole surviving trees of the great forest that once straddled the banks and hillsides of the River Tay. This forest is celebrated in Shakespeare’s Macbeth as the famous Birnam Wood. 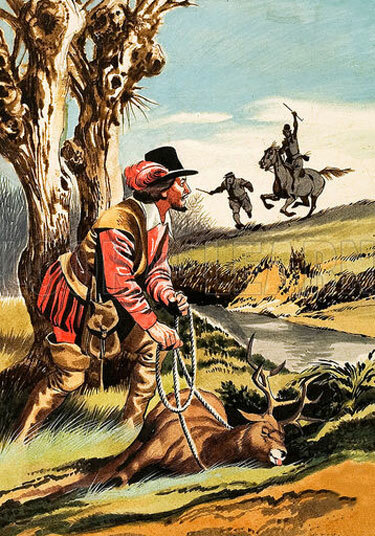 Legend has it that the young William Shakespeare was caught poaching deer at Charlecote Park and was brought up and charged before Sir Thomas Lucy, the owner and local magistrate. James Shapiro, in the New York Review of Books, explains that Rhodri Lewis’ Hamlet and the Vision of Darkness, Princeton, October 2017, serves up a new interpretation of Hamlet. No Freudian obsession with Gertrude, no too-much-cerebration-leading-to-inaction, no Harold Bloom and “The Invention of the Human”, no Humanism, at all. 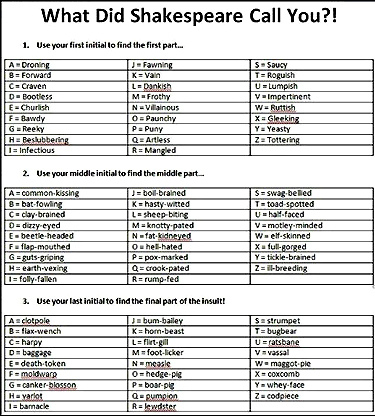 Hamlet, it turns out, is really all about hunting. Whatever an individual might strive to believe, he always and only exists as a participant in a form of hunting—one in which he, like everyone else, is both predator and prey. 25 October 1415, Battle of Agincourt. The New York Post points out that, but for the publication of his plays in the First Folio by his friends Heminges and Condell, half the plays that came down to us could have been lost. 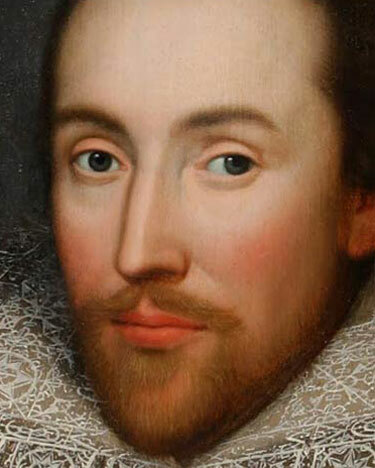 April 23 marks the th anniversary of the death of William Shakespeare. The world will celebrate him as the greatest writer in the history of the English language. But his lasting fame wasn’t inevitable. It almost did not happen. He was born in 1564 and died in 1616 on his 52nd birthday. A celebrated writer and actor who had performed for Queen Elizabeth and King James, he wrote approximately 39 plays and composed five long poems and 154 sonnets. By the time of his death, he had retired and was considered past his prime. By the 1620s, his plays were no longer being performed in theaters. On the day he died, no one — not even Shakespeare himself — believed that his works would last, that he was a genius or that future generations would hail his writings. He hadn’t even published his plays — during his lifetime they were considered ephemeral amusements, not serious literature. Half of them had never been published in any form and the rest had appeared only in unauthorized, pirated versions that corrupted his original language. Enter John Heminges and Henry Condell, two of Shakespeare’s friends, fellow actors and shareholders in the King’s Men theatrical company. In his will he left them money to buy gold memorial rings to remember him. By about 1620, they conceived a better way to honor him — one that would make them the two most unsung heroes in the history of English literature. They would do what Shakespeare had never done for himself — publish a complete, definitive collection of his plays. Heminges and Condell had up to six types of sources available to them: Shakespeare’s original, handwritten drafts; manuscript “prompt books” copied from the drafts; fragment “sides” used by the actors and containing only the lines for their individual parts; printed quartos — cheap paperbound booklets — that published unauthorized and often wildly inaccurate versions of half the plays; after-the-fact memorial reconstructions by actors who had performed in the plays and later repeated their lines to a scribe hired by Heminges and Condell; and the editors’ own personal memories. Today, no first-generation sources for the plays exist. None of Shakespeare’s original, handwritten manuscripts survive — not a play, act, scene, page of dialogue or even a sentence. Without Heminges and Condell, half of the plays would have been lost forever. 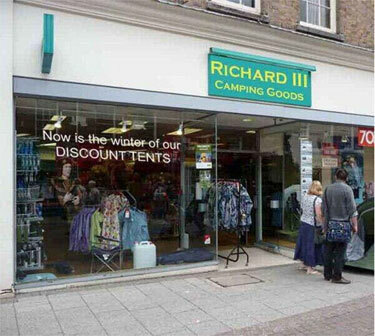 They got to work after the bard’s death. 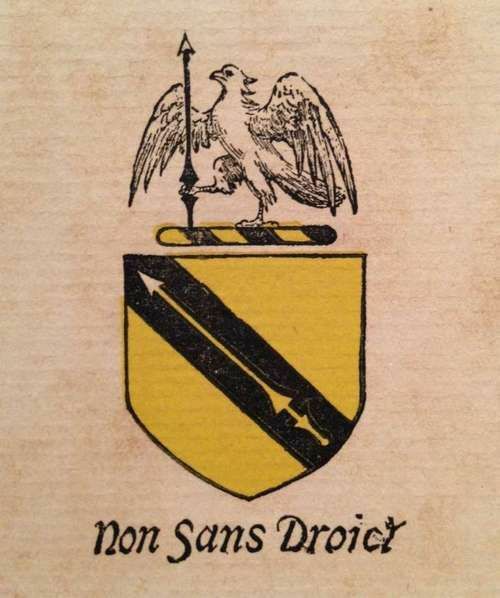 At the London print shop Jaggard & Son, workers set the type by hand, printed the sheets one by one and hung them on clotheslines for the ink to dry. The process was methodical and slow, done by hand. It took two years. When at last the First Folio was finished, it was a physically impressive object. At more than 900 pages, it had size and heft. The tallest copies, right off the press, untrimmed by the printer’s plow, measured 13½ by 8¾ inches. Without the First Folio, his evolution from poet to secular saint would never have happened. The story of that book is an incredible tale of faith, friendship, loyalty and chance. Few people realize how close the world came, in the aftermath of Shakespeare’s death, to losing him. Today, it is one of the most valuable books in the world. In October 2001, one of them sold for more than $6 million. Of the 750 copies printed, two-thirds of them have perished over the last 393 years. Two hundred thirty-five survive. 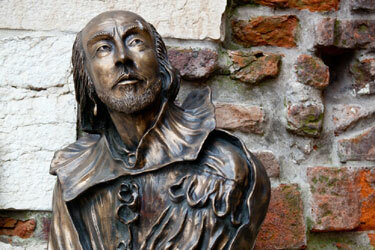 April 23 marks the 400th anniversary of the death of William Shakespeare. The world will celebrate him as the greatest writer in the history of the English language. But his lasting fame wasn’t inevitable. It almost did not happen. Aryeh Cohen-Wade, in the New Yorker, imagines what The Donald would do to the best-known soliloquies. Listen—to be, not to be, this is a tough question, O.K.? Very tough. 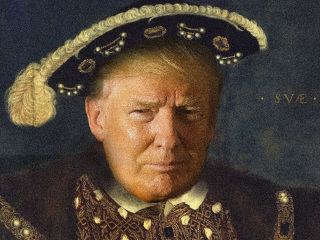 A lot of people come up to me and ask, “Donald, what’s more noble? Getting hit every day with the slings, the bows, the arrows, the sea of troubles—or just giving up?” I mean, smart people, the best Ivy League schools. But I say to them, “Have you ever thought that we don’t know—we don’t know—what dreams may come? Have you ever thought about that?” Ay yi yi—there’s the rub! There’s the rub right there. When we shuffle off this mortal whatever it is—coil? They say to me, “Donald, you’ve built this fantastic company, how’d you do it? How?” And I say one word: “leadership.” Because that’s what it’s all about, is leadership. And people are so grateful whenever I bring up this whole “perchance to dream” thing. So grateful. And on and on with the whips and the scorns of time and the contumely and the fardels and the blah blah blah. Then I see a bare bodkin and I’m like—a bodkin? What the hell is this thing, a bodkin? Listen, I run a very successful business, I employ thousands of people and I’m supposed to care whether this bodkin is bare or not? Sad! And when people say I don’t have a conscience—trust me, I have a conscience, and it’s a very big conscience, O.K.? And the native hue of my resolution is not sicklied o’er, that’s a lie! If anyone tells you that the native hue of my resolution is sicklied o’er, they’re trying to sell you a load of you-know-what. And enterprises of great pith—listen, my enterprises are so pithy. So pithy. Fantastic pith. But sometimes, hey, they lose the name of action, right? I mean, it happens—it happens. The Oregon Shakespeare Festival is translating William Shakespeare into English. If that seems strange, it should, because Shakespeare wrote his plays in English. All 39 of the bard’s works have been assigned a playwright and a dramaturge, who will alter its text to create a present-day, modern English version they hope will be more accessible to modern audiences. That’s not all that lies behind this dubious effort. The Oregon Shakespeare Festival (OSF), in keeping with the spirit of modern theater, ensured that 50 percent of the artists involved are women and that 50 percent are people of color. The mystery is: How did it come to pass that, everywhere you look in today’s America, the people in positions of power and responsibility are all the worst kind of blithering nincompoops? The Awl describes an originalist approach to Shakespearian performance. Still, professional directors and producers didn’t embrace what became known as Original Pronunciation, even as they sometimes resurrected other aspects of historical performances. Perhaps they considered it an archaic curiosity—but it is more likely that they didn’t know of it at all, or feared, as London’s reconstructed Shakespeare’s Globe Theatre did, that it would sound so primitive that people wouldn’t understand it. That all changed in late 2003, when a linguist named David Crystal offered to help the Globe put on three OP performances of Romeo and Juliet. A white-bearded Irishman who retired from the University of Reading in 1985 to lead a life of independent scholarship, Crystal, the preeminent detective of the modern OP community, is the author of more than 100 books—enough, and in enough editions, that even he has lost track of exactly how many—including The Cambridge Encyclopedia of the English Language. the Archives of Never Yet Melted in the 'William Shakespeare' Category.